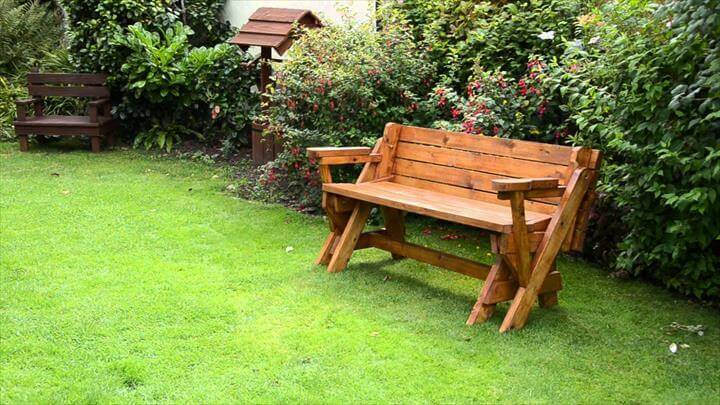 Folks who are keen in spending most of their time in the outdoor locations are also fond of decorating their front and back yards. 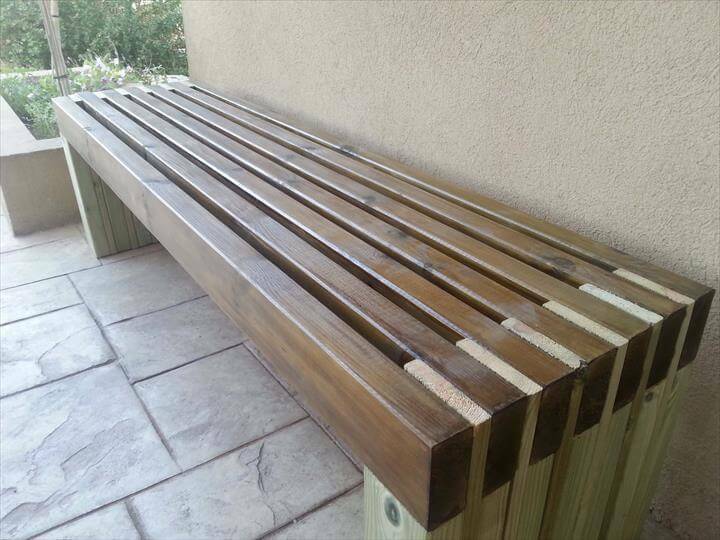 Here are 22 Fine Free DIY Outdoor Bench Ideas amazing and easy ideas for doing such creativity. 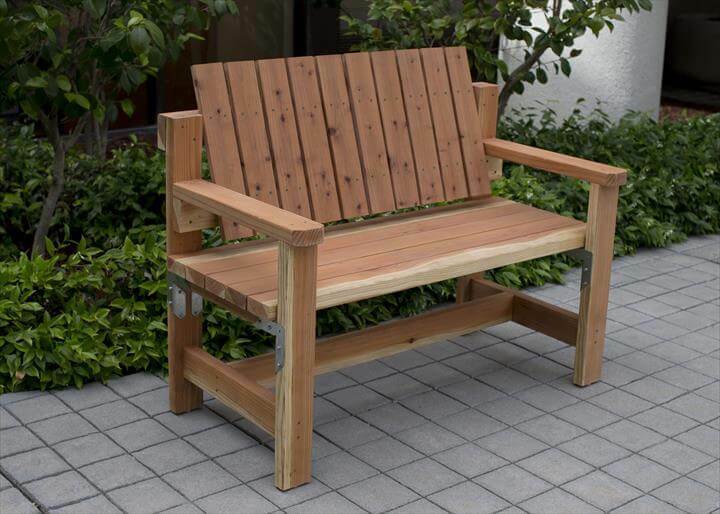 Sitting in the outdoor is no fun unless you have amazing outdoor sitting arrangements. 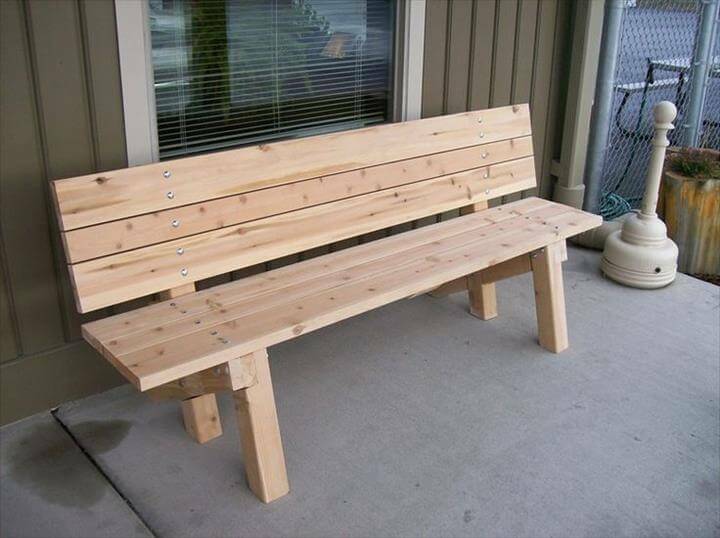 With these following ideas and tutorials you would be able to make different kinds of outdoor benches. 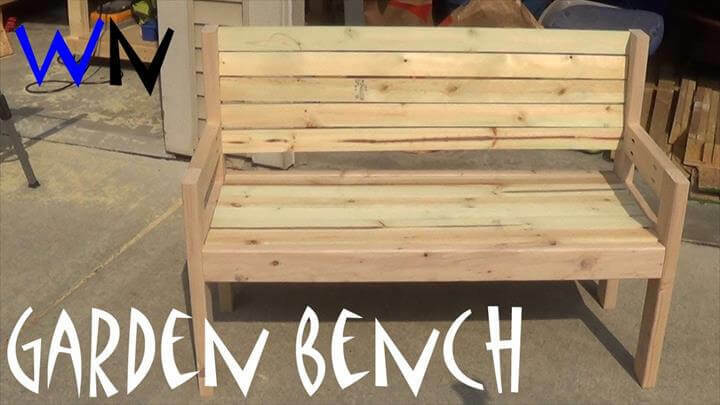 Have a look at this first bench made with a good number of pallets. 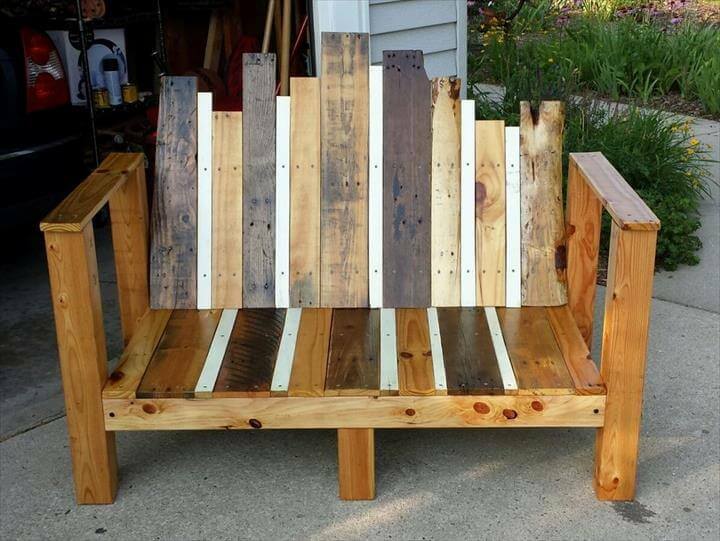 We all have such useless wooden pallets at our home which we can use to make such benches and then use a cushion for a comfortable seat. 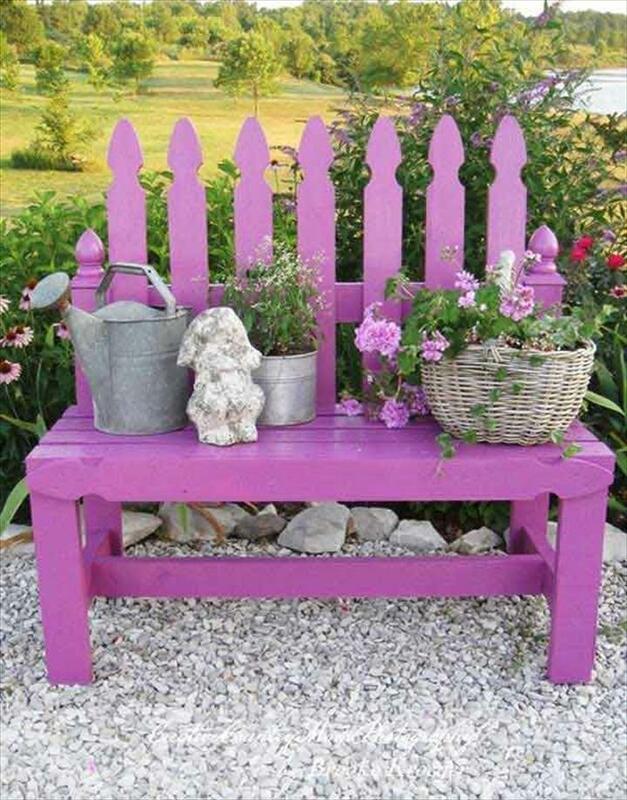 The next project is not only amazing but matchless and incomparable in terms of cost and efforts as this is made with fence and then painted in your favorite color. 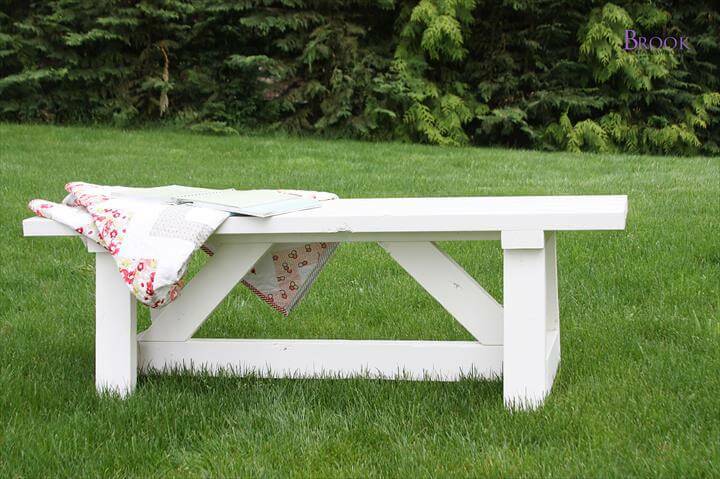 Almost all of these ideas are budget friendly. 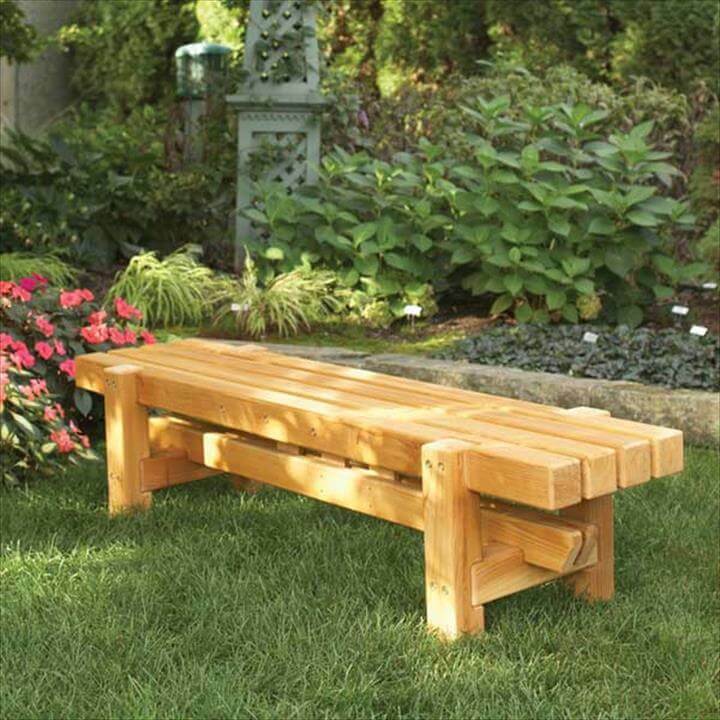 Also we can make different benches keeping in mind the idea if simplicity and elegance and especially if you are not a fan of much fancy items you can simply crate some modest pieces for your outdoor. 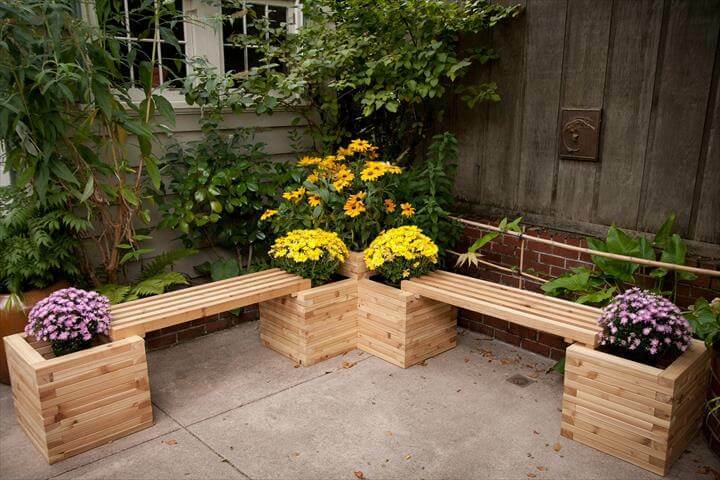 Having no space on the floor for benches? Don’t worry! 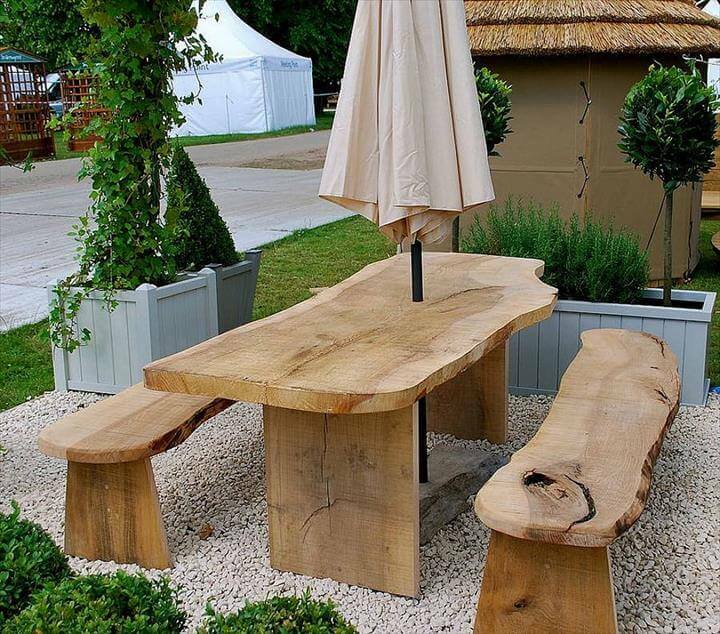 With this exciting idea you can create a hanging master piece. 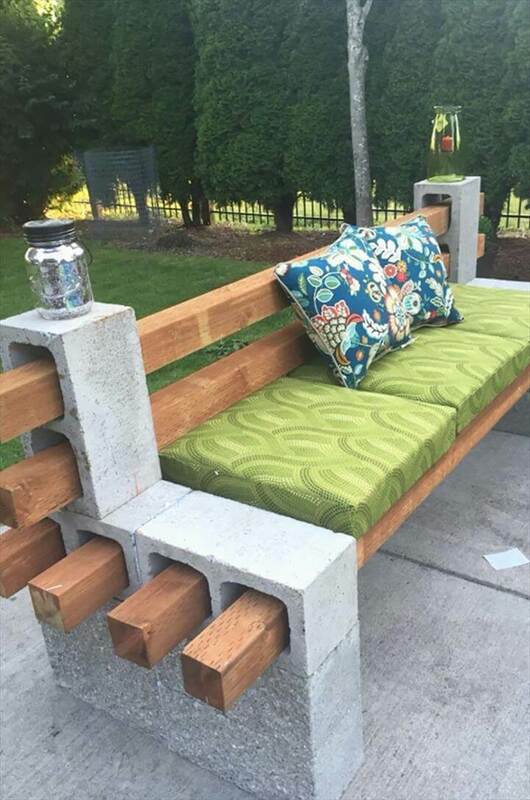 This idea can be used for the patio that normally outlooks the lawn, and all you need of make is a simple garden bench and some chains along with it in order to hang it with the roof. 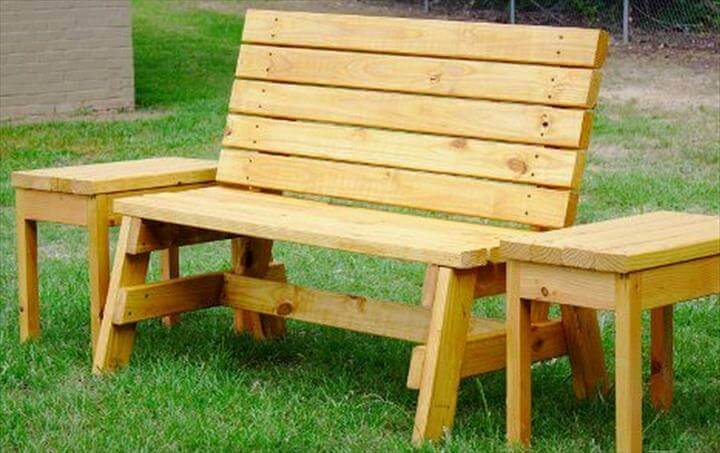 Whenever you are creating things on your own there is no end or limit to the possibilities that you can have. 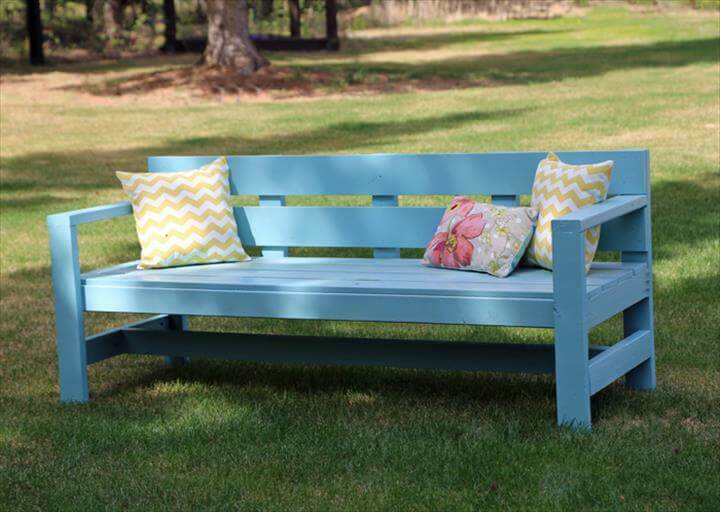 If you are too lazy to create any new bench for your outdoor you can simply paint your old bench with a vibrant color and add some spark and light to your garden. 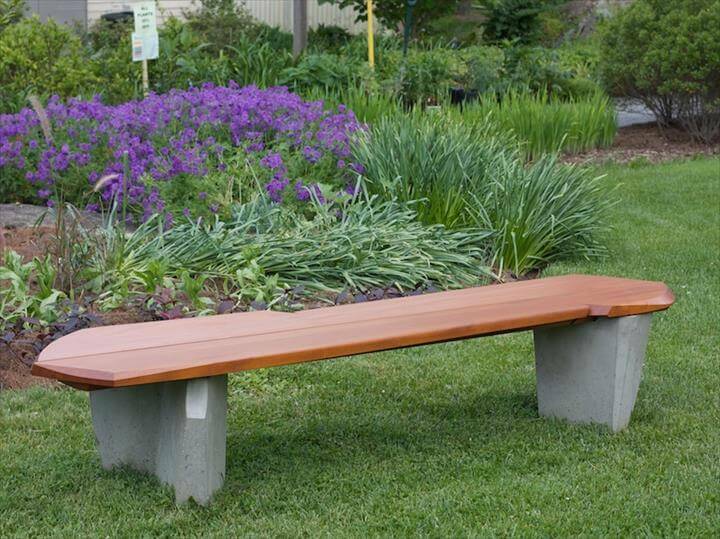 Hardwood is yet another thing that enables you to create a perfect bench for your backyard. 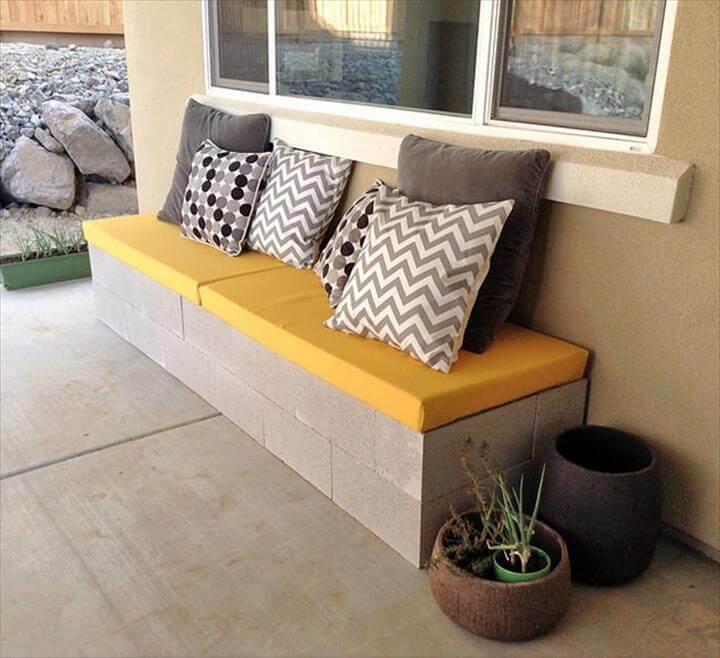 If you slightly increase your budget a bit you can add cushion on top of your simplistic diy bench to make it more comfy and relaxing. 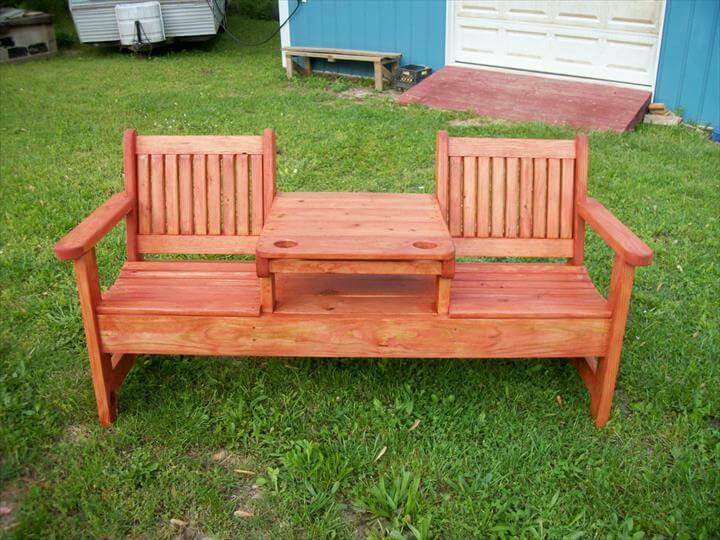 Share the ideas with your friends and family so that together you we can make some pieces that can outstand.